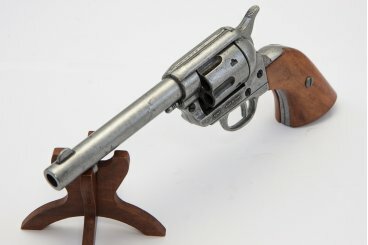 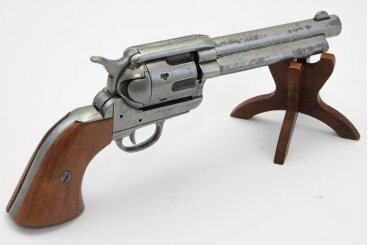 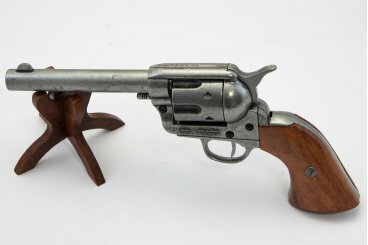 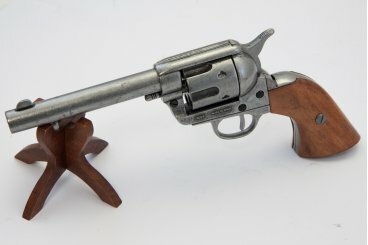 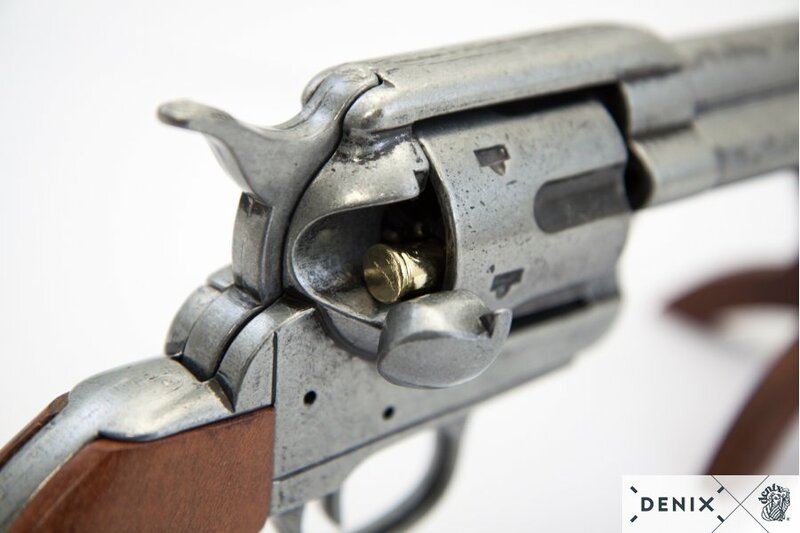 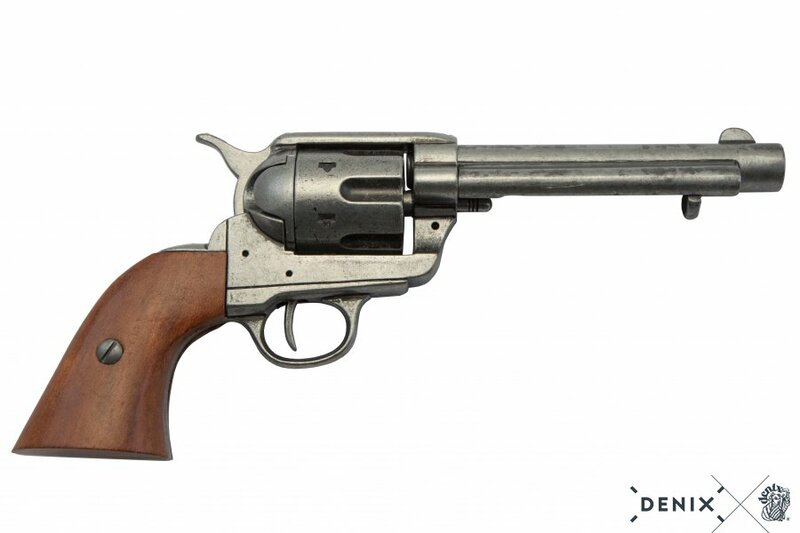 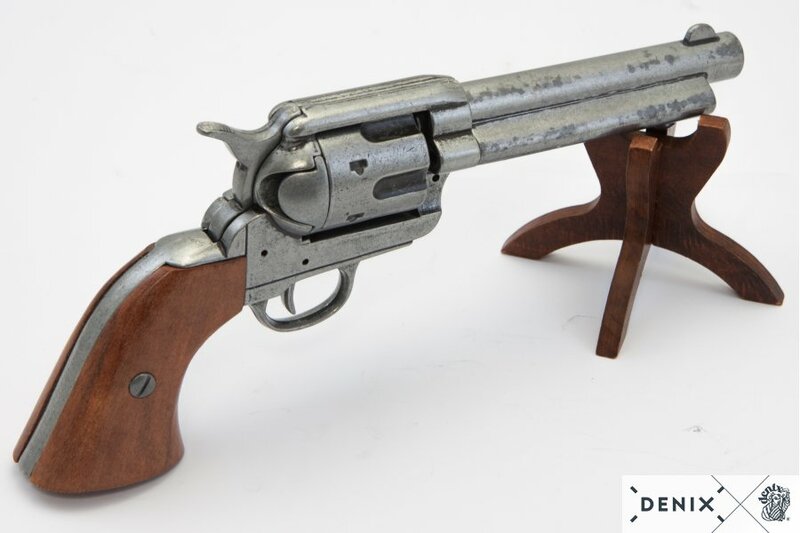 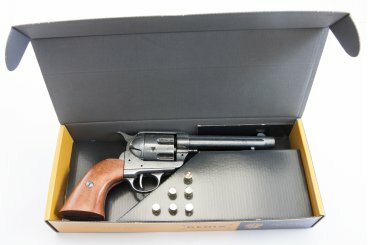 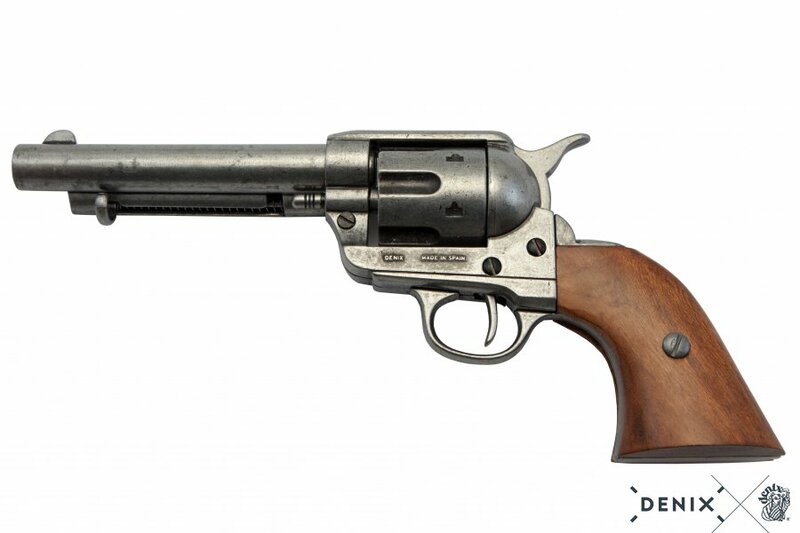 Revolver reproduction 5½" made of metal and wood, with simulated mechanism of charge and firing and rotating drum. 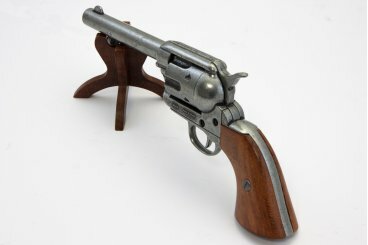 The greatest gun ever made. The very first 1873 Colt "Peacemakers" to leave the factory had 7 1/2in barrels and were going directly to the men of the 7th Cavalry, under the command of Gen.George Armstrong Custer. 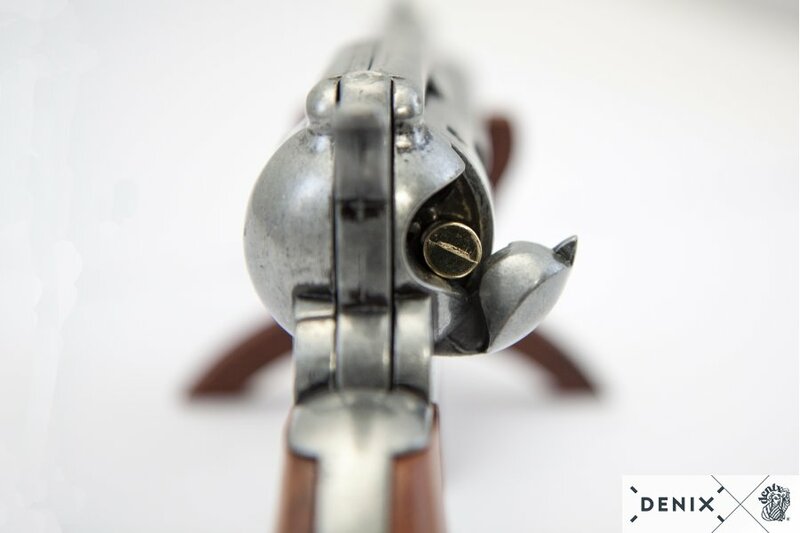 These firearms were inspected by a civilian, Orville W.Ainsworth and then shipped to Fort Lincoln.